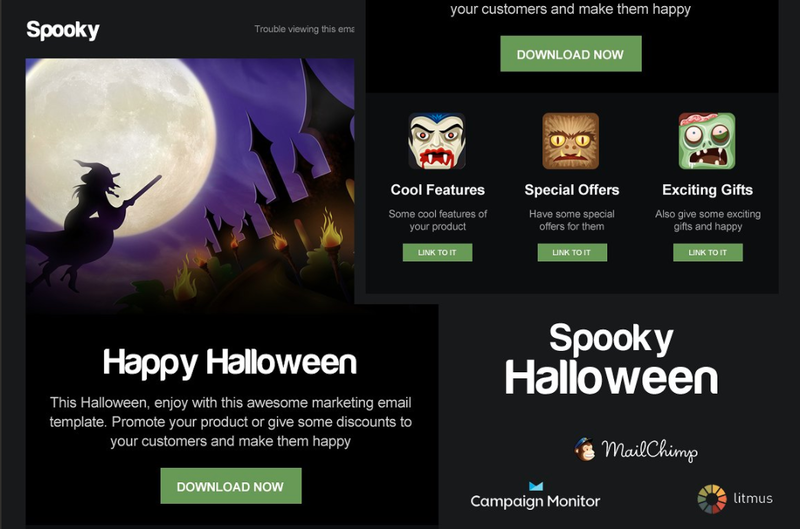 A Responsive Promotional Email Campaign Template with Scary and Dark design pattern. 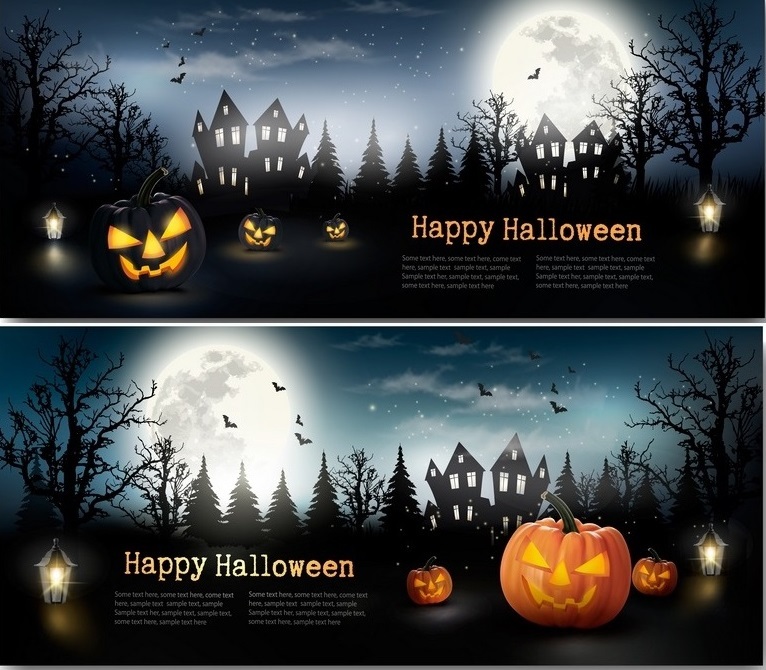 Suitable for wishing Happy Halloween to customers and give promotional Campaigns, discounts and coupons. Show your products, features, portfolio etc. Best for any type of business. Purchase for $18. 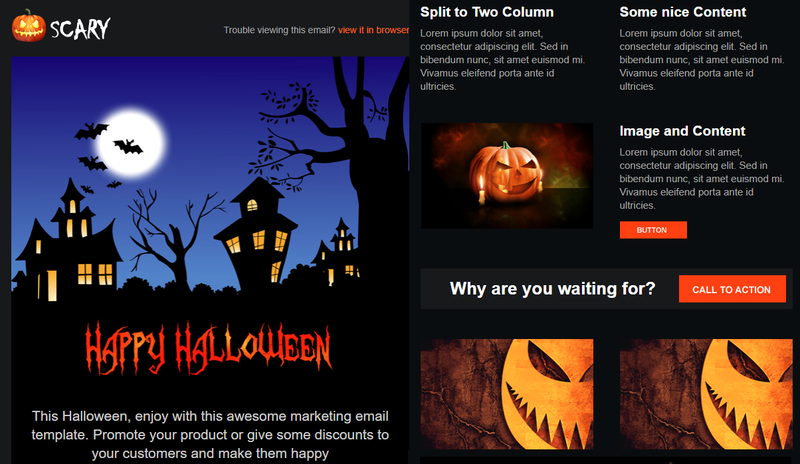 Responsive Promotional Email Campaign Template with Spooky and Dark design pattern. 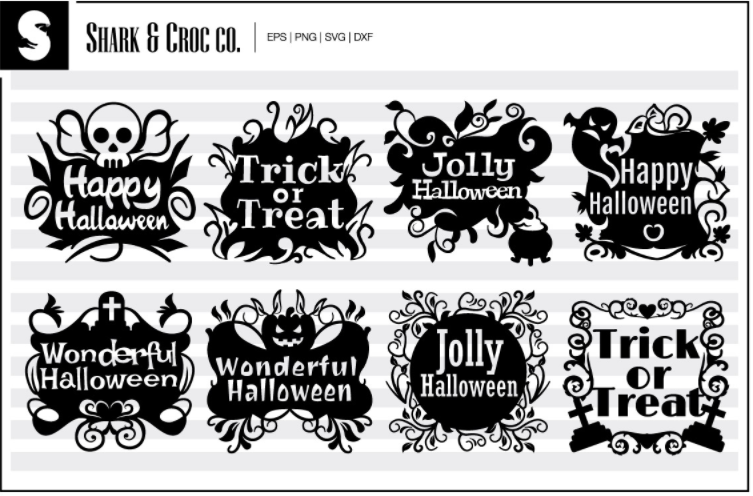 Suitable for wishing Happy Halloween to customers and give promotional Campaigns, discounts and coupons. Show your products, features, portfolio etc. Best for any type of business. Purchase for $10. Easily promote your clothing and apparel business for free by using this email newsletter. 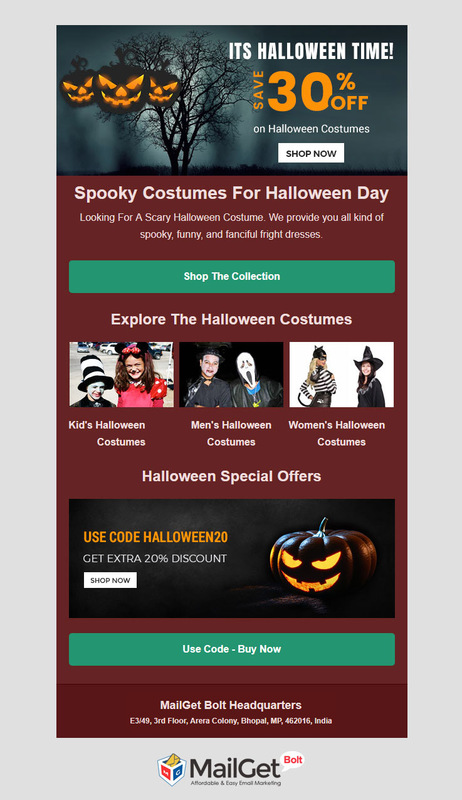 You just need to customize the email template according to your business needs, send emails to your customers and inform them about your Halloween offers and deals. Create your own original scene, or use our pre – made scenes by just dragging and dropping items in Photoshop. Use it for Websites, Banners, Hero Images, Header Images, Facebook Covers, Presentations, Apps, Book Covers, Flyers. Purchase for $15. 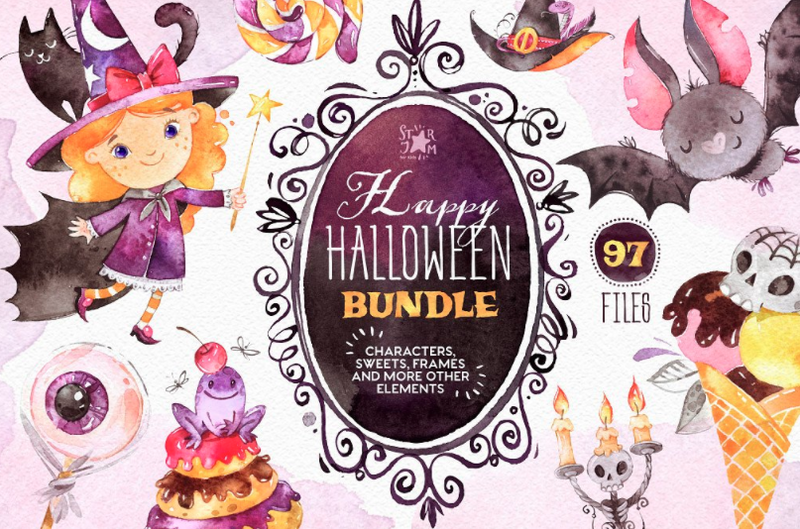 Bundle included Characters, Illustrations, Little witch, Bats, Bunting, Floral Elements, Sweets, Pumpkin, Candy, Hats, Frames, Leaves, etc. Perfect for Halloween projects, invitations, craft and DIY projects, paper products, party decorations. And also for greetings cards, posters, stationery, stickers, t – shirts, baby clothes, web designs. Purchase for $25. 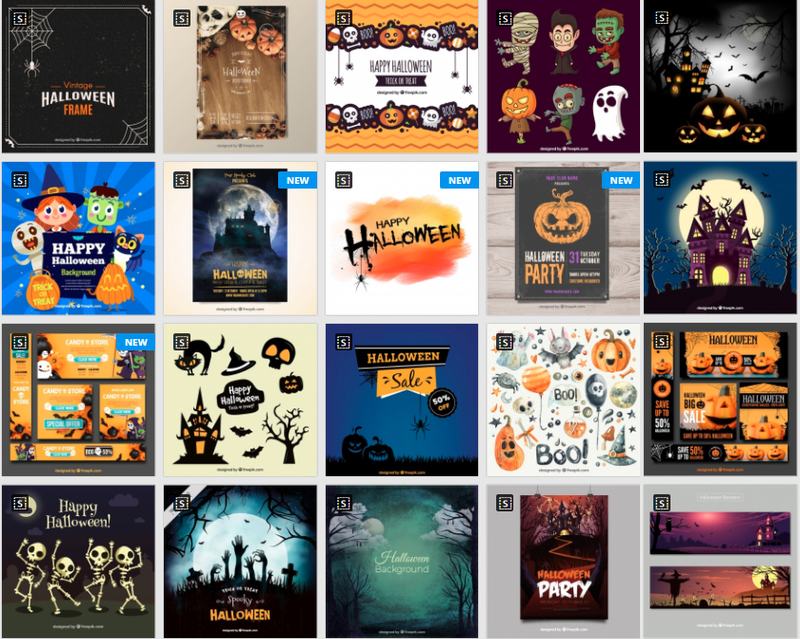 50 Awesome Halloween Patterns and Templates. Get unlimited access to Envato Elements for only $29/month. This incredible Freebie is yours to download at no charge, from the awesome Shark&Croc co. File formats are included: SVG Format, DXF Format, EPS Format, PNG Format. 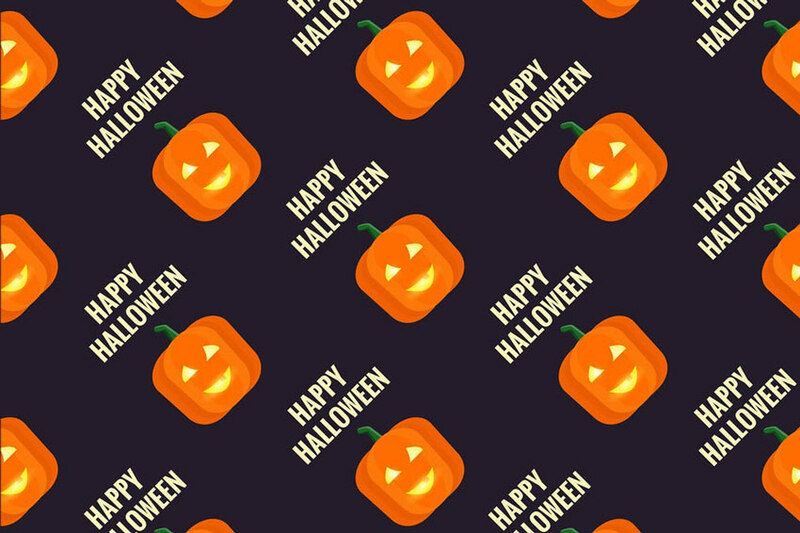 Learn how to use the Mesh Tool and Image Trace in Adobe Illustrator to create a spooky vector Halloween background. 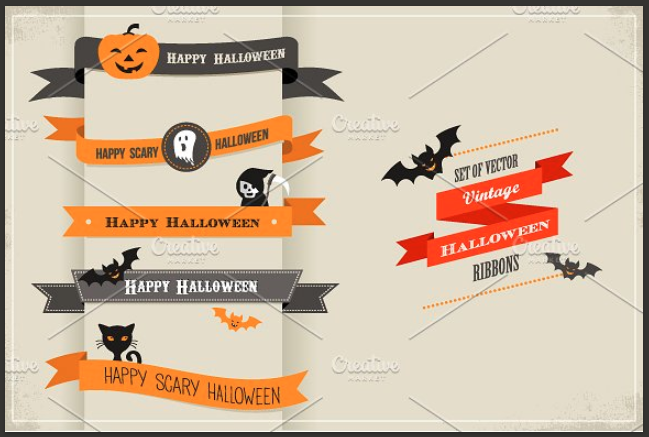 Halloween clipart set is perfect for making beautiful invitations, scrapbooking, stickers, cards and more. Purchase for $6. 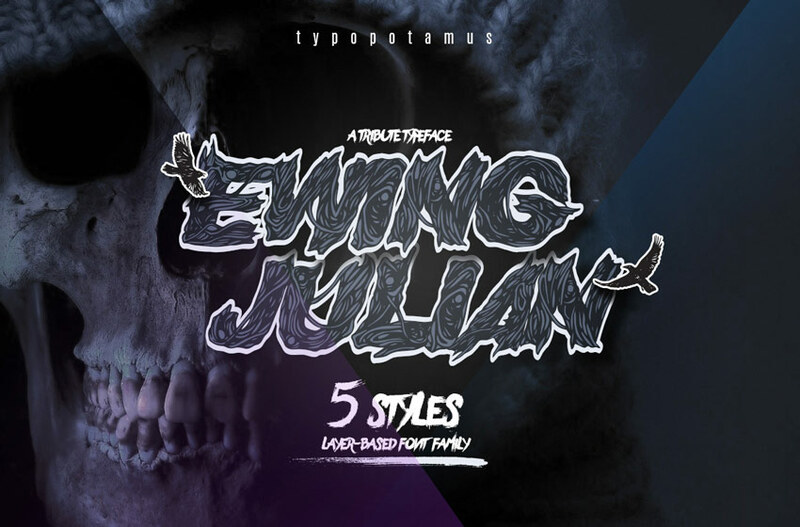 23 Horror – Inspired fonts to create chilling designs. Inspired from classic horror movie and vintage comic. Uses for headings, Logo type, quotes, apparel design, invitations, flyer, poster, greeting cards, product packaging, book cover, printed quotes, cover album, movie, etc. Purchase for $14. 64 Awesome Halloween Invitations and Flyers for Your Spooky Celebrations. 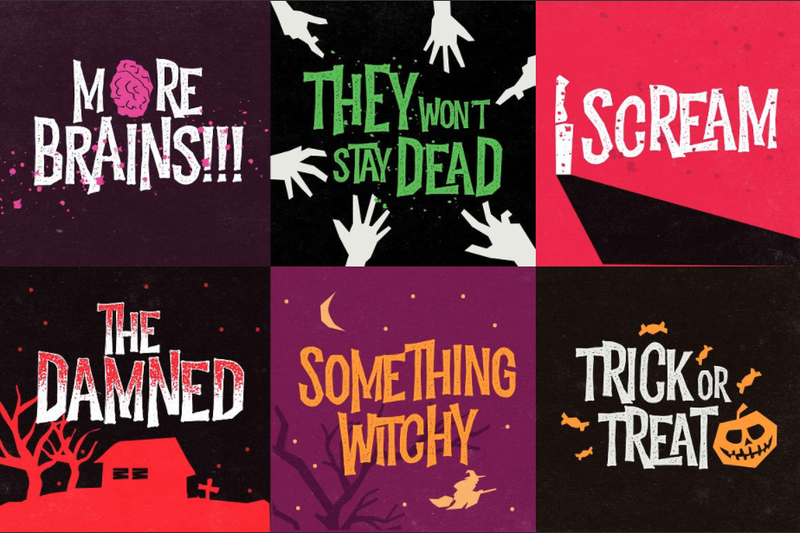 18 free halloween icons designed by Nick Slatter to use for your next Halloween design project. Perfect for DIY projects, party invitation, postcard, scrap booking, stickers, tee print and many other designs up to your imagination. Purchase for $12. Collection of Halloween ribbons. Purchase for $6. Easy to place your designs using smart objects, double – click the Smart Layer, copy and paste your artwork, save and you’re done! Purchase for $8. 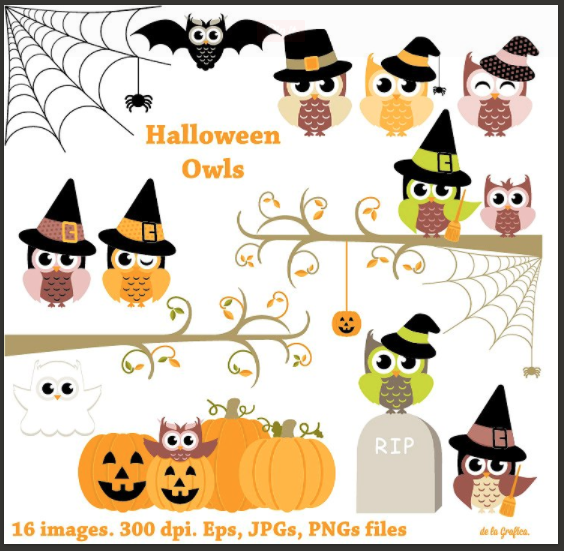 16 Halloween Owls Clip Art, Clipart. 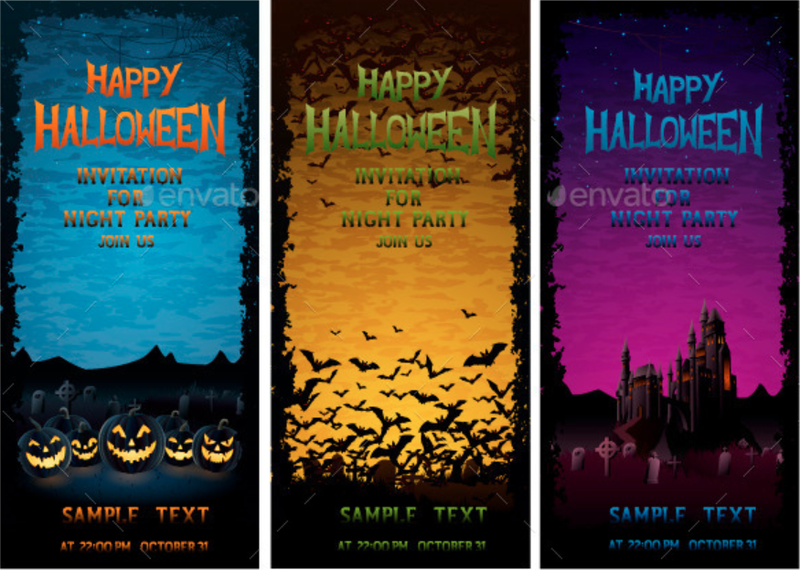 Happy Halloween elements each in individual separate PNG file approximately 10″ 300dpi with transparent background. Purchase for $4. Happy Halloween vectors and photos. Free resources for both personal and commercial use. 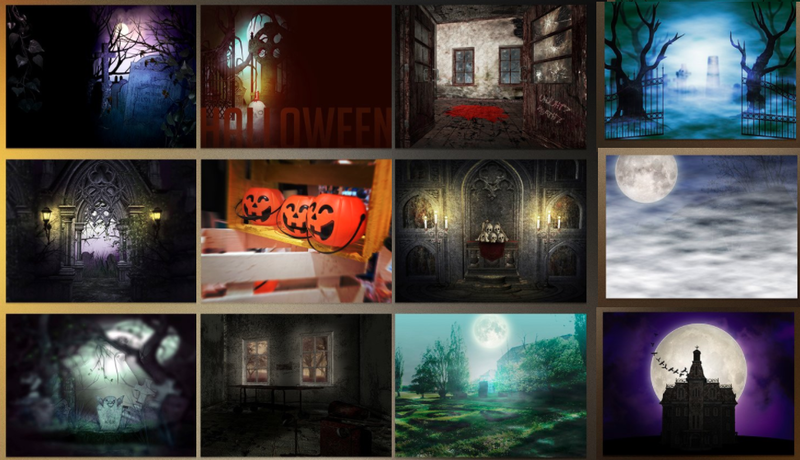 30 different Halloween images, mix of textures and backgrounds. Photos will allow you to use in a variety of projects from flyers and brochures to web and social media design. Use as Facebook cover, desktop wallpaper, website background, postcards, poster or digital scrapbooking, etc. Purchase for $7. This is a scary Halloween collection. 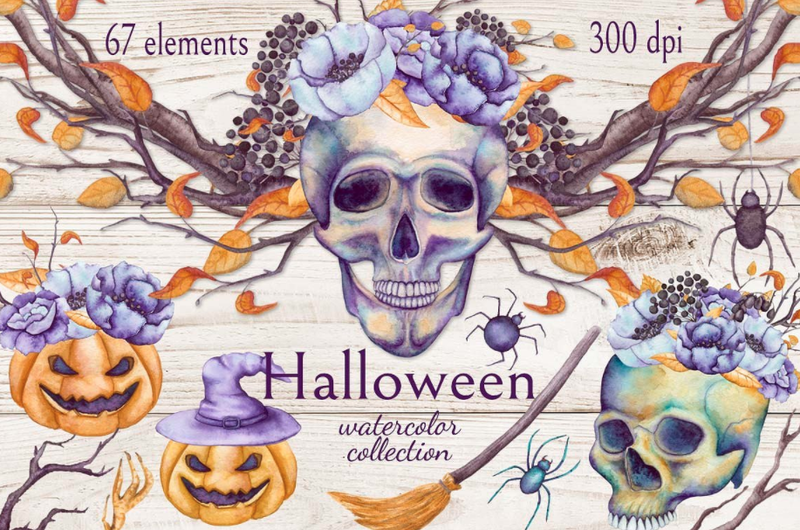 Includes high – res watercolor skulls, pumpkins, flowers, leaves, tree branches, spiders, wreaths, seamless patterns and borders. 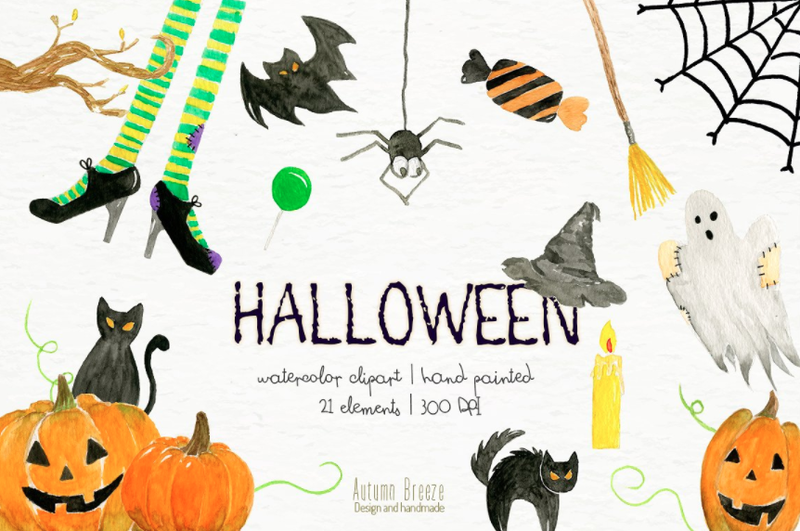 This is ideal for use on halloween projects, party invitations and cards, packaging design and more. Purchase for $8. A clean and straight forward tutorial on how to create an awesome looking Halloween themed icon pack. 130 Halloween Flat icons. Easy to change colors or edit shapes in any vector tool such as illustrator. Purchase for $13. 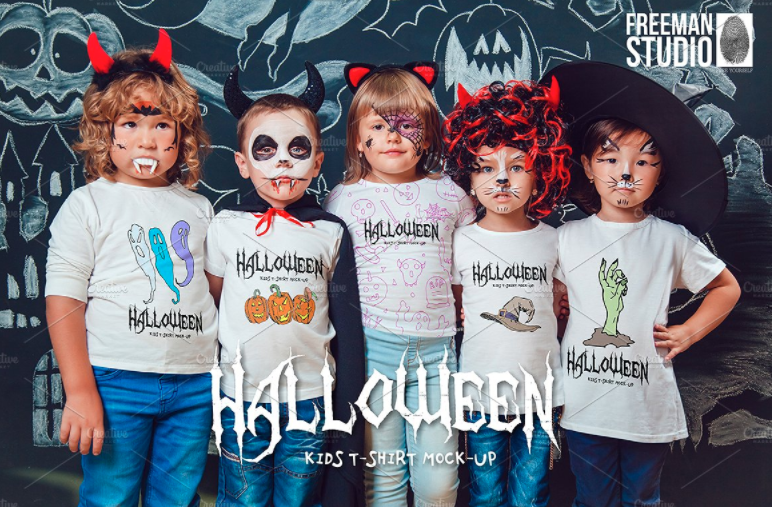 Halloween costumes Shopify theme comes with a full pack of eCommerce functionality including a live chat, currency switcher, lightbox product preview. 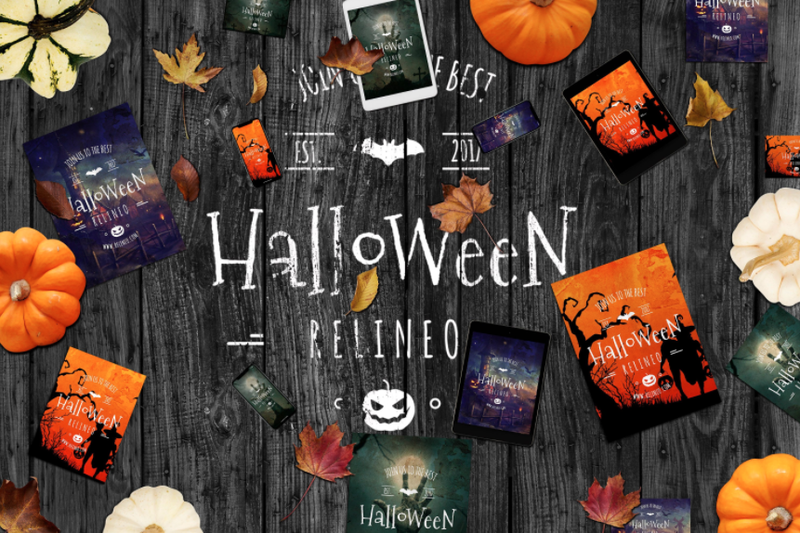 This responsive template features traditional colors of Halloween – dark shades of background polygons are skillfully combined with orange accents of interface elements. Purchase Single Site License for $139. 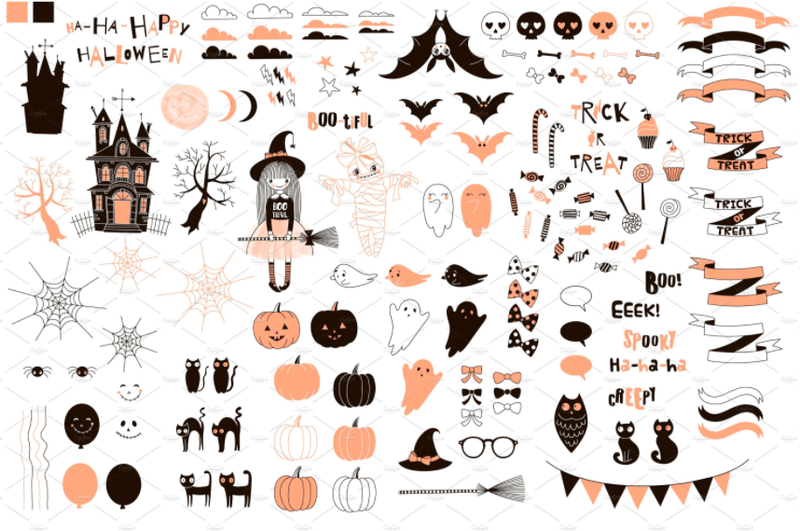 Cute pumpkin, zombies, candies and monster icons as adobe illustrator vector icons, svg icons and png files in 32px, 64px, 128px, 256px and 512px. 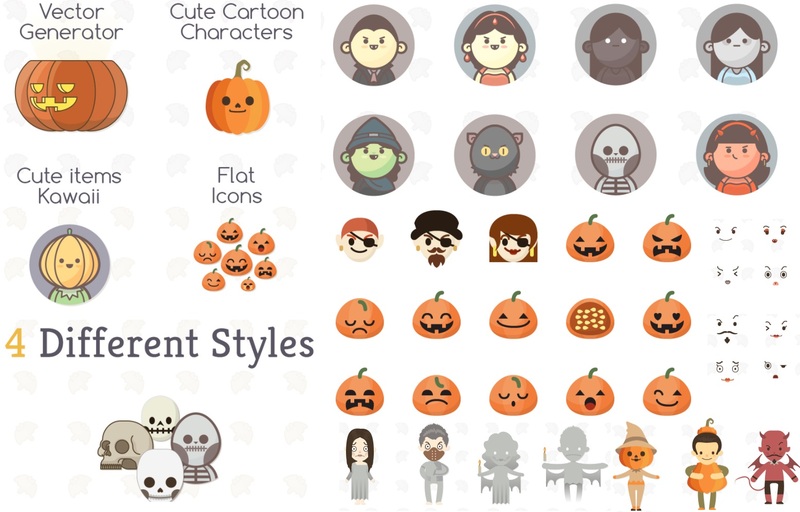 Multi-pack containing expansions to the Cute Cartoon Character generator, Cute Icons and Avatars (kawaii) and Vector Desktop generator sets plus the Halloween Icons included. Have fun working magic with all these editable vector characters, icons, patterns and brushes and make sure to spread it around like a zombie pandemic. Buy full DesignShock for $14/month. 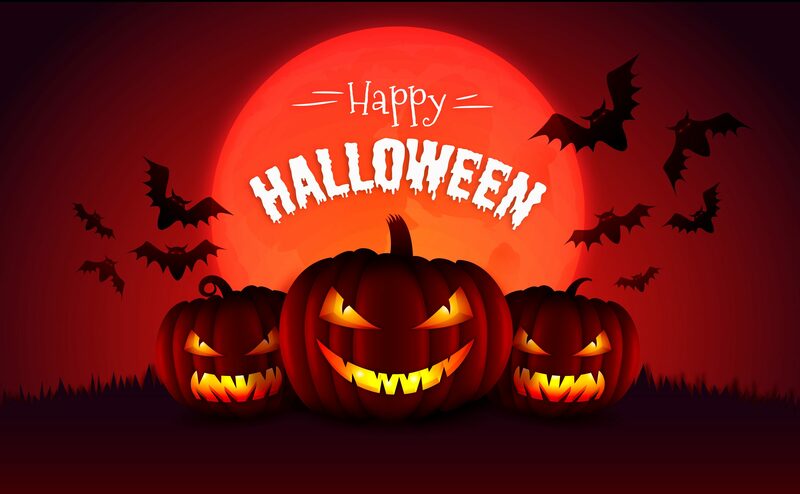 Happy Halloween to all of our readers….